Domestic violence calls happen every minute, all across the nation. When these calls occur, the judicial process that takes place afterwards depends on several factors, namely the state. Domestic violence laws vary from state to state, but here in Indiana, the rules are clear. Continue reading to learn what you need to know about domestic violence disputes, criminal charges, and penalties in Indiana. When it comes to domestic violence and criminal law, many couples want to know who is labeled as the offender. Most people assume that the man is automatically arrested and detained in custody in the case of a domestic violence call. However, this is not always true. You see, it is usually the actual aggressor (the ones who makes the assault) who is arrested and taken to jail for a domestic violence charge, which can be either a woman or a man. See our blog, “Who Gets Arrested in a Domestic Violence Police Call?” to learn details about these situations. Under Indiana law, domestic battery is founded when someone knowingly or intentionally a) touches a family or household member in a rude or angry way; or b) places bodily fluid or waste on a family or household member in a rude or angry way. A suspect can be charged with either a misdemeanor or felony upon being arrested for domestic violence. Domestic violence charges range from Class A misdemeanors to Level 2 felonies; it all depends on the suspect’s criminal history, severity of the victim’s injuries, applicable enhancements, and several other mitigating factors. 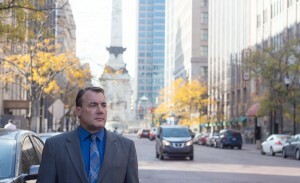 Call Attorney David E. Lewis at 317-636-7514 to schedule a free initial consultation to discuss the best course of action for your domestic violence criminal charges with a seasoned Indianapolis criminal defense attorney you can trust. We work around the clock to ensure your rights are protected and your freedoms are preserved. You can avoid the maximum penalties for your charges with our aggressive legal representation! This entry was posted in Domestic violence charges and tagged criminal defense lawyer Indianapolis, domestic violence charges Indiana, Domestic violence crimes, Domestic violence law Indiana, Domestic violence lawyer Indianapolis, Domestic violence penalties. Bookmark the permalink.